The main thing I have learned from Julie is to believe in myself. To manifest my ideas and success by using my daily journal as a tool to remind me what I’m going for. As a result of working with Julie my business is more focused. I learned what exactly I want from my business, not what everybody else thinks I should want. I always refer to Julie as an excellent coach. I tell people when I started coaching with her I saw an upward arch in my business. She is the eyes outside my fish bowl & as a business owner you need those outside eyes, especially if you are feeling stuck. The main thing I have learned from Julie is to believe in myself. To manifest my ideas and success by using my daily journal as a tool to remind me what I’m going for. As a result of working with Julie my business is more focused. I learned what exactly I want from my business, not what everybody else thinks I should want. I always refer to Julie as an excellent coach. I tell people when I started coaching with her I saw an upward arch in my business. She is the eyes outside my fish bowl & as a business owner you need those outside eyes, especially if you are feeling stuck. Julie has been instrumental in my phenomenal personal and financial growth as a health coach! 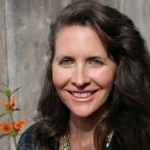 In a relatively short amount of time, her techniques for tapping into the feminine side of marketing have allowed me to listen to the messages from my higher self. I have been able to clarify the vision of what I truly have been yearning to create. I am now attracting my perfect clients through branding and gaining the confidence to be VISIBLE in the world. 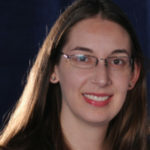 Julie’s intuitive listening skills and patient and clear methods of leading a group (or an individual) to new insights and actions are remarkable. 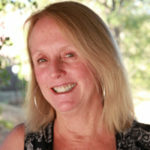 Julie brings the perfect blend of magic, introspection, crazy fun and the nuts and bolts of business. I came to her not only looking for business coaching, but how to bring out my personal spirituality. Julie asked the hard questions and called me out when I tried to give the easy answers. She gave me the safe place to be open, honest, and vulnerable. Julie designs her coaching with the perfect mix of hard work and fun. I got out of my comfort zone and built a greater understanding of my own power. I feel nourished in my body and my soul. Julie brings the perfect blend of magic, introspection, crazy fun and the nuts and bolts of business. I came to her not only looking for business coaching, but how to bring out my personal spirituality. Julie asked the hard questions and called me out when I tried to give the easy answers. She gave me the safe place to be open, honest, and vulnerable. Julie designs her coaching with the perfect mix of hard work and fun. I got out of my comfort zone and built a greater understanding of my own power. I feel nourished in my body and my soul. Julie’s ability to see right into the heart of the situation is a huge help for getting focused on what you actually want to do instead of getting distracted.She creates an atmosphere of support and accountability that is so supportive that confidence follows as a natural result. With that confidence, implementing is rewarding and the energy flow is dynamic. My life has changed because of having a clear and actionable plan and the support from her program. I have better peace of mind and real clarity about what I am doing. Julie’s ability to see right into the heart of the situation is a huge help for getting focused on what you actually want to do instead of getting distracted.She creates an atmosphere of support and accountability that is so supportive that confidence follows as a natural result. With that confidence, implementing is rewarding and the energy flow is dynamic. My life has changed because of having a clear and actionable plan and the support from her program. I have better peace of mind and real clarity about what I am doing. 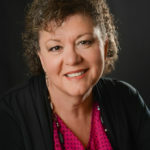 Julie is a caring coach and group leader dedicated to supporting her clients in achieving the “wildly outrageous goals” that they maybe only dreamed of before working with her! She is creative, supportive, and gently holds her clients accountable for the progress they desire. 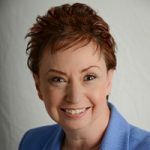 I've worked with Julie Foucht for nearly 8 years, from her being my life coach to my business coach. And in that time, I've grown into a whole new woman!!! I went from being a frustrated mother and wife to a scared and lost mother and widow. Just in my first year with her, she helped me build my confidence, and since then, I am now a strong and confident mother and business owner. Change does not come easy, but her methods and techniques brought out what was deep inside me and just craving to get out, though I didn't see it. She did. Thank goodness! It not just about the “how-tos”. It’s personalized and intimate. Julie has created a place of safety with her mastermind groups. We support each other and reach out with thoughts and ideas for feedback. These women have become my sisters! 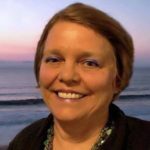 I've worked with Julie Foucht for nearly 8 years, from her being my life coach to my business coach. And in that time, I've grown into a whole new woman!!! I went from being a frustrated mother and wife to a scared and lost mother and widow. Just in my first year with her, she helped me build my confidence, and since then, I am now a strong and confident mother and business owner. Change does not come easy, but her methods and techniques brought out what was deep inside me and just craving to get out, though I didn't see it. She did. Thank goodness! It not just about the “how-tos”. It’s personalized and intimate. Julie has created a place of safety with her mastermind groups. We support each other and reach out with thoughts and ideas for feedback. These women have become my sisters! Julie Foucht is the kind of person you want to have in your corner. 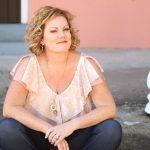 Julie is a business coach who understands what it takes for women to become successful professionally as well as personally -- because she's gone through the process herself. With clarity, compassion, and a sense of humor, she helps her clients understand what's holding them back and gently pushes them outside their comfort zones to achieve bigger and better things. If you're serious about achieving your dreams and becoming the best version of yourself you can, I highly recommend working with Julie. Julie Foucht is the kind of person you want to have in your corner. 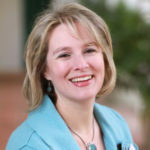 Julie is a business coach who understands what it takes for women to become successful professionally as well as personally -- because she's gone through the process herself. With clarity, compassion, and a sense of humor, she helps her clients understand what's holding them back and gently pushes them outside their comfort zones to achieve bigger and better things. If you're serious about achieving your dreams and becoming the best version of yourself you can, I highly recommend working with Julie. Julie is an amazing and insightful coach. We’ve coached together for 5 years and her curiosity has led me to incredible success in my life. After a challenging marriage for 29 years, I was able to create an incredible space for my husband and I to achieve an A++ marriage. For us, coaching with Julie will always be considered “Priceless”. Today, I am having an impact with my own clients. I love helping people create the relationships of their dreams. Julie is an amazing and insightful coach. We’ve coached together for 5 years and her curiosity has led me to incredible success in my life. After a challenging marriage for 29 years, I was able to create an incredible space for my husband and I to achieve an A++ marriage. For us, coaching with Julie will always be considered “Priceless”. Today, I am having an impact with my own clients. I love helping people create the relationships of their dreams. I really enjoy working with Julie. I appreciate being able to check in with her twice a month and focus on whatever is of most concern to me in that moment. She is incredibly nimble in her ability to address whatever issue it is. I also appreciate her use of homework and having someone to be accountable to. It really helps move me forward in my business. I honestly wouldn’t be where I am today without Julie. Our work together has been eye-opening and empowering. I was feeling stuck before working with Julie. Despite giving it a year of really concentrated effort before meeting Julie, I couldn’t seem to bring my business idea to fruition. I felt like I was spinning my wheels and not getting anywhere. I knew Julie was the right person for me to work with during our first call. Within the first five minutes she had asked me a really tough question that caused me to pause and think, “WOW. That’s a really great question. What’s the answer to it? !” I really enjoy working with Julie. I appreciate being able to check in with her twice a month and focus on whatever is of most concern to me in that moment. She is incredibly nimble in her ability to address whatever issue it is. I also appreciate her use of homework and having someone to be accountable to. It really helps move me forward in my business. I honestly wouldn’t be where I am today without Julie. Our work together has been eye-opening and empowering. I have always been a person who stands up for herself, for her people. One of the distinctive things that I have learned through working with Julie is that not only is it acceptable, but truly imperative to also ask for what I want. These two actions are similar in phrasing, but different in action. Once you can ask for what you want, you receive the joy that your heart desires. This has proven to be valuable professionally as well as in my personal life. This action helps me to be more clear with my delivery to my clients and grounded in my decisions.. I am so happy that I chose to work with Julie this year. I feel so blessed and honored to belong to a group of amazing women who love and support each other through our business endeavors and life.. I have always been a person who stands up for herself, for her people. One of the distinctive things that I have learned through working with Julie is that not only is it acceptable, but truly imperative to also ask for what I want. These two actions are similar in phrasing, but different in action. Once you can ask for what you want, you receive the joy that your heart desires. This has proven to be valuable professionally as well as in my personal life. This action helps me to be more clear with my delivery to my clients and grounded in my decisions.. I am so happy that I chose to work with Julie this year. I feel so blessed and honored to belong to a group of amazing women who love and support each other through our business endeavors and life.. I have been a successful entrepreneur for 30 years and in the last three I have taken my work to a new arena – leadership for network marketing women. I knew that I needed help with getting out of my head and into my heart to be more vulnerable and authentic with my tribe. Julie has been the perfect coach to teach me the art of feminine marketing. 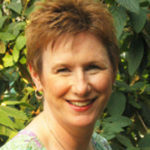 Her intuitive nature has opened my eyes and my mind to a new way of working with my clients. With her guidance, I have developed the big picture of my business over the next 5 years. I know what the 4 aspects are and how to bring them develop them for my tribe. To say the least, this is very exciting to know what is next for me. As part of the program, Julie also created the perfect retreat in so many different ways. Starting with the setting in Kauai at Poipu Beach, to the wonderful food, to the amazing mastermind sessions with women who have become my sisters, we spent time dancing, discovering our feminine, laughing, crying, digging deep into ourselves, in ritual, and learning so much more about myself. Business Assessment Call to talk about your next step.